Designed with portability in mind, these submersible drainage pumps have an open impeller, centrifugal design allowing for the pumping of small soft solids in suspension and a lower susceptibility to blockage. This range has been constructed using corrosion resistant 304 stainless steel for the motor shell and strainer to give a long service life. 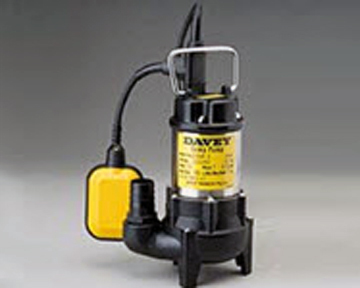 Protection against thermal overloading is built into this pump with an automatic reset. H07RNF oil resistant leads that are 10m long with a 3 power plug provide a longer life in dirty water and easy connection to power supplies.